As was widely reported yesterday (including by The Diplomat), Jang Song-Thaek has been executed by North Korea. Jang, up until last week, was widely considered the number two man in North Korea, second only to his nephew Kim Jong-Un. Then he was unceremoniously removed from his post at vice chairman of the National Defense commission, carted off by guards, and (as we now know) executed. The North Korean media report of his execution left no doubt that Kim considered Jang a threat to his power. 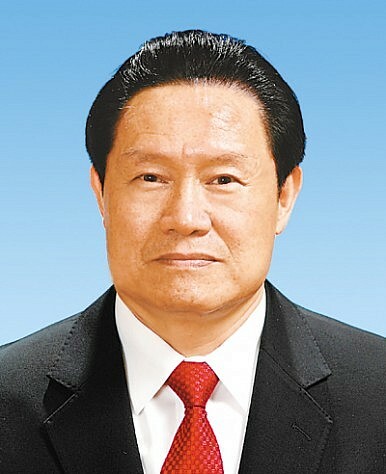 Jang was accused of “attempting to overthrow the state by all sorts of intrigues and despicable methods with a wild ambition to grab the supreme power.” The upheaval in North Korea is being followed closely by China’s leadership, especially given rumors that North Korea’s ambassador to China (a close Jang confidant) is likely to share his mentor’s fate. In another startling fall from political grace, China’s former Public Security Minister Zhou Yongkang is under strict monitoring as the Party investigates him for corruption, Reuters reports. Ever since the arrest of Bo Xilai, seen as a close Zhou ally, there have been rumors that Xi Jinping and his government were maneuvering to target Zhou as well. Adding to the speculation, in September the Party announced an investigation of Jiang Jiemin, the head of the State-owned Assets Supervision and Administration Commission and former China National Petroleum Commission (CNPC). Jiang was another of Zhou’s protégés, stemming from their time together at CNPC. Now, after months of anticipation, Xi has brought his anti-corruption forces to bear against Zhou himself. The Daily Beast reports that Zhou could be charged not only with corruption, but with murder and “plotting to overthrow the government.” If prosecuted, Zhou would be one of the highest-ranking Chinese officials to ever be brought to trial. As a former member of China’s all-powerful Politburo Standing Committee, Zhou was long thought to be immune from criminal charges. Just like Jang, Zhou lost power with surprising speed as a new leader consolidates power. Still, this news this week wasn’t all bad for Chinese officials. Foreign Policy listed Li Keqiang as one of the magazines “100 Leading Global Thinkers of 2013.” Li, ranked #14, was the first Chinese citizen to be listed. Li was listed because of his influence in overseeing China’s economic transition away from its status as the factory of the world. Among Li’s achievement, FP mentioned the new Shanghai Free Trade Zone as well as Li’s promise to liberalize interest rates and open the financial sector to competition from non-state owned enterprises. Wang Qishan followed close behind at #15 for his efforts to root out corruption. Finally, NASA has a satellite view of China’s air pollution this week, driving home the magnitude of the smog problem. The Guardian, citing a new study commissioned by Greenpeace, reported that coal burning in China, one of the largest sources of pollution, caused over 250,000 premature deaths in 2011 alone. Coal can be deadly in other ways as well, as Xinhua reported today that 21 people perished in a coal mine explosion in Xinjiang.